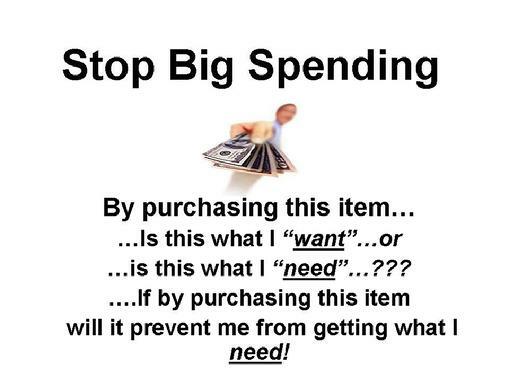 Stop Big Spending has our Message Board available below. We admitted we were powerless over our emotions � (with managing our money and over-spending) that our lives had become unmanageable. Having had a spiritual awaking as the result of these steps, we tried to carry this message and to practice these principles. Shopping addiction is a disorder that our culture has largely seen fit to smile upon. Feelings of emptiness, low self-esteem, insecurity, boredom, loneliness--or the pursuit of ideal image--can lead people to shopping addictions. But managing these feelings and mood states by becoming a shopaholic can have extremely serious consequences and significantly erode quality of life. As with most other addictive, impulse control, or compulsive disorders, there is a wide range of effective treatment options for shopaholics: drug treatment, individual, group, and couples therapy, counseling for compulsive buying, Debtors Anonymous, and Simplicity Circles can all be effective. The choice of what form or forms of treatment to use with a particular person is a complex decision that goes well beyond the scope of this overview. 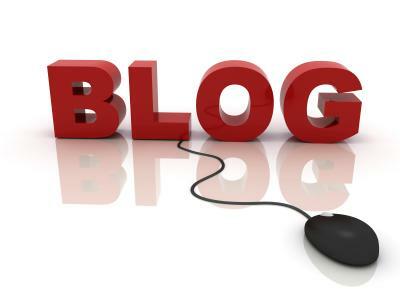 For further information about making treatment decisions, consult my own writings, the For Therapists page of my website, www.stoppingovershopping.com, as well as the bibliographic references at the end of each chapter in I Shop, Therefore I Am: Compulsive Buying and the Search for Self. Psychotropic medications, including antidepressants, mood stabilizers, and opioid antagonists have been used to treat shopping addictions, with varying effectiveness. For further details, see McElroy and Goldsmith-Chapter 10 of I Shop, Therefore I Am-and my own treatment chapter in Addiction: A Practical Handbook. Individual therapy for shopaholics runs the gamut from traditional psychodynamic psychotherapy, with an almost exclusive focus on the underlying dynamics within a historical context, to a very strict focus on the here and now of the problem, with little attention to underlying dynamics. Most people suffering from a shopping addiction need the addition of other specific tools for changing the behavior, including a shopping diary and a spending plan. Some people will need to participate in Debtors Anonymous or group therapy for shopaholics, and/or have counseling specifically geared toward shopping addiction. This is particularly likely if the individual therapist has little experience with the tools of shopping addiction counseling. Group therapy for shopaholics has been reported since the late 1980s. At least five different forms of group therapy have been utilized with this population. My own group treatment model is an amalgam of three things: useful techniques from existing models; didactic and experiential material used in group treatment for Borderline Personality Disorder; and material I've found effective in my clinical practice. Couples therapy for shopaholics is an extremely important treatment modality, because couples act as a financial unit and generally blend income as well as spending. Money issues are an intrinsic part of marriage and are often a source of intense and pervasive friction that can seep into other aspects of the relationship. Couples therapy is indicated when the shopping addiction can't be dealt with adequately on an individual basis. 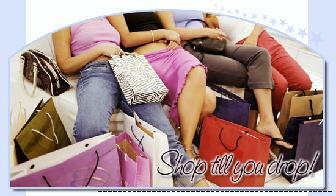 Counseling for shopaholics targets the specific problem and creates an action plan to stop the behavior. Targeted counseling for this problem alters the negative actions of compulsive shopping and concurrently works toward healing the underlying emotions, although less emphasis is placed on exploring the emotional significance of the shopping addiction than in traditional individual psychotherapy. The major premise of counseling for shopaholics is the idea that insight alone will not stop the behavior. All stages in the shopping addiction cycle must be identified: the triggers, the feelings, the dysfunctional thoughts, the behaviors, the consequences of the behavior, as well as the meaning of the shopping addiction. Creating and using a spending plan is a cornerstone of shopping addiction counseling. More information about shopping addiction counseling can be found in Karen McCall's chapter “Financial Recovery Counseling”, as well as in my treatment chapter in I Shop, Therefore I Am. Debtors Anonymous (D.A.) can be a powerful tool in recovery from shopping addiction, especially for shopaholics who have problems with debt. D.A. sees debting as a disease similar to alcoholism that can be cured with solvency, which means abstinence from any new debt. Since individuals are trying to control their lives with addictive debting, D.A. offers a regimented program of surrender and recovery, a program with a spiritual emphasis. Individual debtors work through the steps of the program with a sponsor, a more experienced member of the group, using newly acquired tools in conjunction with the steps. Simplicity circles can be a helpful support to shopaholics, although the shopping addiction problems are not dealt with as directly as in the various therapies for shopping addiction or Debtors Anonymous. What simplicity circles do have to offer is a forum: a place to gather with others to discuss personal transformation and the satisfactions of living a simpler life. The caring atmosphere and the discussion of how to create a more fulfilling life is a healthy way to meet some of the principal needs that a shopaholic seeks to meet in shopping. In Chapter 20 of my book, Cecile Andrews discusses simplicity circles and the shopaholic. Shopping addiction treatment is still very much in a formative stage. Society, advertising, and the media all conspire against the cultivation of true wealth, which cannot be quantified in a financial balance sheet but must instead be felt and sensed: self-esteem, family, friendships, a sense of community, health, education, creative pursuits, communion with nature. It is inner poverty, both emotional and spiritual, that is at the core of most shopping addictions. The acquisition of truth wealth is crucial to recovery. Have you ever seen a balloon that has been punctured by a fingernail or object? It only takes one little hole in the balloon to deflate it. It may take a while for it to completely deflate, but eventually all the air goes out. You may try to patch it with something and it might help for a while but doesn't last. It is the same with our hearts. When someone says something negative to us, a sarcastic remark, a discouraging word, or something that pulls us down, that is all it takes. 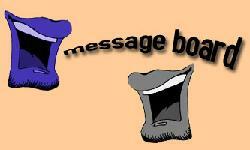 It only takes one discouraging or sarcastic remark to put the hole in our hearts. That is why it is so important to choose your friends wisely. People can try to encourage us and tell us not to listen to those people, who delight in putting us down, but the hole is already there and nothing anybody says or does can take the hole out of our hearts. Jesus is the only One Who can reach down with His Healing Love and completely make our hearts new. Please don't say things to discourage individuals on this site. I urge you to be an encourager of others. Let's start building each other up instead of putting each other down for getting themselves in debt. Share this story with those who put you down and let them know the damage one single negative word can do to your heart. Uncontrollable Spending Sprees are individuals who suffer from overspending they have no control over. Take a brief quiz and learn if you overspend out of control. Can You Control the Spending Sprees?